Many, many years ago, the Eighth Doctor was born. He was only on our screens for one night but his first story helped pave the way for the new iteration of Doctor Who from 2005 onwards. In the intervening years between Paul McGann’s debut on screen and the introduction of Christopher Eccleston’s Ninth Doctor, there were many adventures for Doctor number Eight in book, comic, and audio format. All of them were wonderful and helped breathe life into an almost unseen incarnation of our favourite Time Lord. Once we learned about the fabled Time War, we suddenly realized that there was a large portion of the Eight Doctor’s life we hadn’t even know about. Had he fought in the war? Was it the Ninth Doctor who destroyed his planet and wiped out Time Lord and Daleks alike? 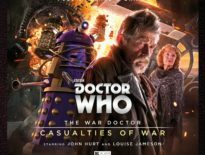 History has now shown us that the Eighth and War Doctors (John Hurt) were the Time War combatants but, luckily, details on these adventure have been limited, stored away in a Time Lock to give new mystery to a well-known character. So where does that leave us with this particular box set from Big Finish? The Eighth Doctor trying not to fight as the Time War rages across the Universe. It’s been discussed by many in the last 10 years; we’ve even seen the Eighth Doctor’s death thanks to his involvement in the war. But is there a point that, when too much light is shed on this particular legendary battle, it loses some of its flavor and power as a plot device? First things first, the stories contained within this set are superb. Essentially, it is one big 4-hour tale with slight linear gaps between stories two and three (Echoes of War and The Conscript respectively, both by Matt Fitton). 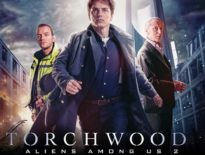 And what an adventure it is for the Doctor – from alighting on a ship affected by time distortions leading to being stranded on a planet where the Time War has created a multitude of paradoxes and time slips! Following on from this, we have the Time Lords’ misguided attempt to conscript the Doctor to their war followed by an epic chase through space and time culminating in the Doctor doing what he does best: following his hearts. There are some truly terrific performances throughout, with McGann giving it his all. This is his Doctor as we saw him in The Night of the Doctor. Weary, almost embittered, tired and angry, but still trying his best to be kind above anything else. Echoes of War is one of the best surprises in terms of character development, finding the Doctor and a Dalek working together. Believe you me, you’ll want to cry for this Dalek; he’s better than his future counterparts in Dalek (2005) and Into the Dalek (2014). It’s a powerful performance by Nicholas Briggs, and his scenes with the Doctor are electric. Thrown into proceedings is Rakhee Thakrar (EastEnders) as Bliss. Her credentials are certainly there for the Doctor to be attracted to: she’s a scientist who trained at Lunar University. She also has one of the more interesting introductions to the show, with the Time War offering a new take on first meetings. However, as there’s so much going on within the plot, her character never blooms to her full potential. She’s present, curious, and helpful, but the bond between her and the Doctor never seems to form completely. Very mild spoiler here (look away now if you don’t want to know): she’ll be back for the next series, one suspects with a plot and some twists that will play out over time, but hopefully her background presence was a calculated move this time round and not a by-product of pushing forward the larger agenda of addressing the Time War. And what about the titular War itself? We’ve have four boxsets of the War Doctor hard at battle, denying his kind nature and embracing his latent darkness. 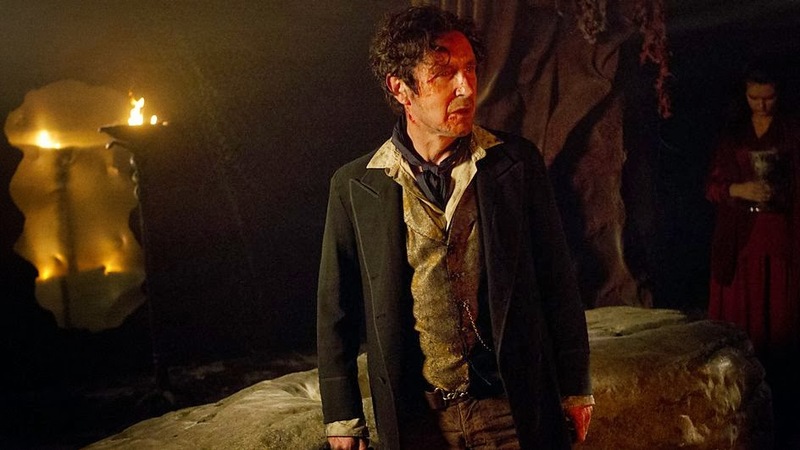 But what about our more innocent Eighth Doctor caught up in proceedings? This reviewer is of the opinion that the more the War is experienced, the more quality it loses as a time of mysterious legend, therefore removing (at least some of) its dramatic impact. Compare the first appearance of the Time Lords in Doctor Who in the late 1960s to their final (until 2007) appearance in 1986; the same could happen with the War if it’s exposed too much. It loses the mystery that serves to drive the main character of the Doctor forward and keep him/her interesting. That said, this set of stories is so engaging that that can be forgiven. It’s fascinating to listen to the Doctor bravely try and be more than his people are reducing themselves to. Perhaps the most interesting aspect of this set is finding out how low the Time Lords will sink to gain a small victory – any self-respecting Doctor Who fan should be having a peek into this. The darkest days of Gallifrey. The Eighth Doctor: The Time War – Series 1 is a feast of a box set, packed full of action, drama, heartbreak, and horror. It delves into unknown times for the Doctor and finally lets us see, fleetingly, behind the curtain to discover the Eighth Doctor’s involvement in the War, which has been a large gap in Who knowledge for many years. You’d be foolish to miss it so pop your pocket money out of your TARDIS piggy bank and get buying. Just let’s hope that the details aren’t gone over too much, however, because a little bit of mystery is what keeps the Doctor moving forward. 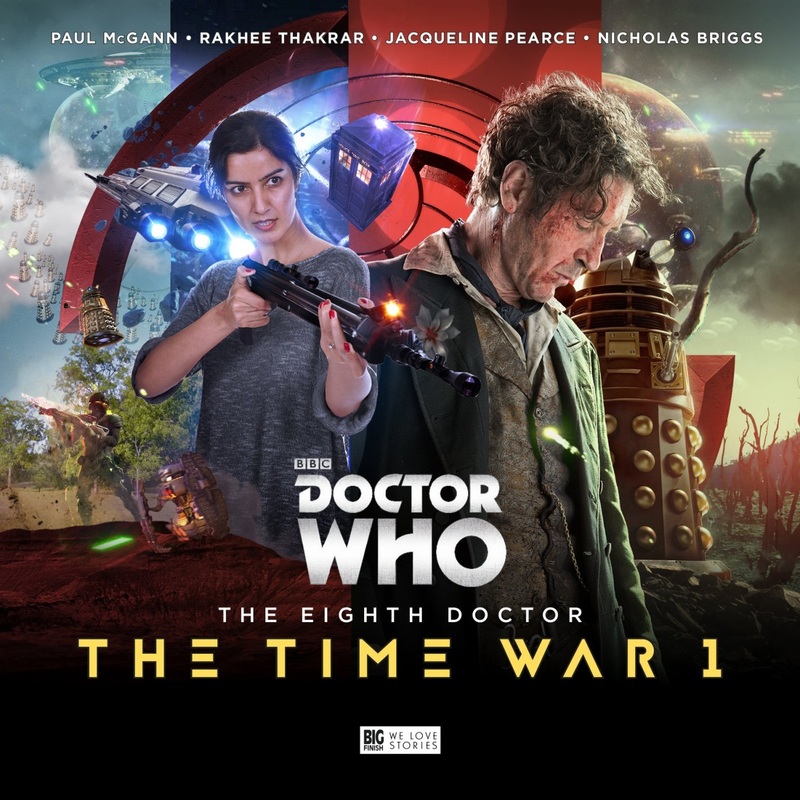 The Eighth Doctor: The Time War – Series 1 is out now exclusively from Big Finish, priced £23 on CD or £20 as a download; it goes on general sale (with a price increase, alas) on 1st January 2018.